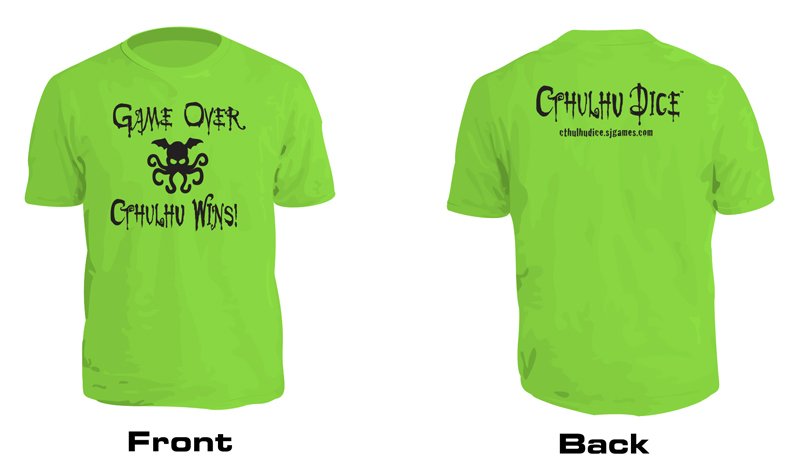 Today's fashionable cultist prefers T-shirts . 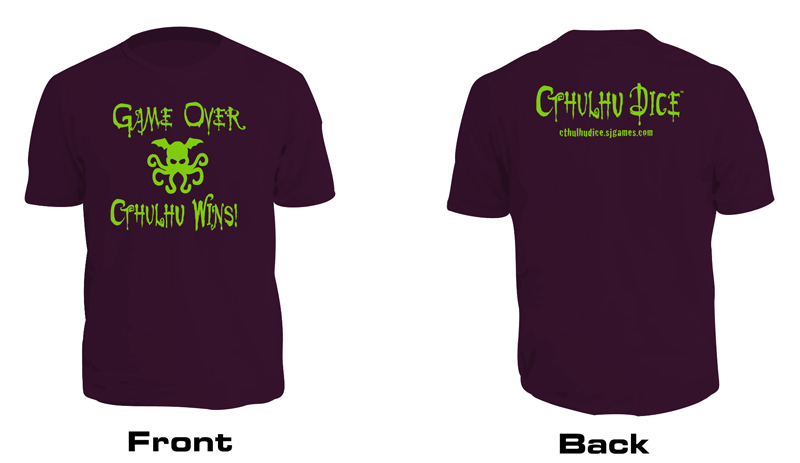 . . just like this one. 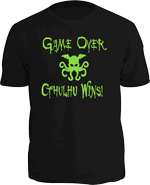 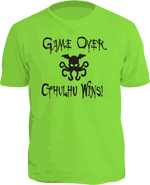 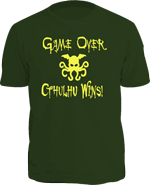 With "Game Over, Cthulhu Wins" on the front and the Cthulhu Dice logo on the back, everyone will know which side you're playing for . . . Cthulhu!